Please forgive the missing photos. My photobucket account is closed. It will take some time to get everything back the way it was. This project is still being built. Some parts have been powder-coated or primed and painted. Most of the tractor will not be refinished until after fabrication is complete. The plan is to get it rolling, fired-up, and run it a bit. Maybe that way the worst leaks, and design flaws can be fixed before everything has a nice new finish. Then again, this project might look so cool in rat-rod condition, it could stay that way. We will see. Seems odd that it took so long to make this piece. The original 8N engine block and cast iron oil pan are the frame of the tractor. The oil pan supports the lower part of the front axle carrier. 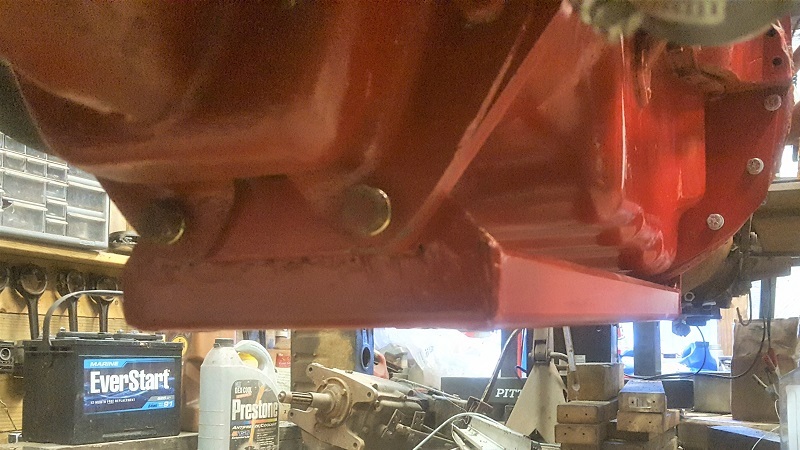 I made a bracket to attach the front axle carrier to the front of the V8 engine using spme pre-existing threaded holes in the front of the block. The V8 engine has a stamped steel oil pan that provide no support for anything. 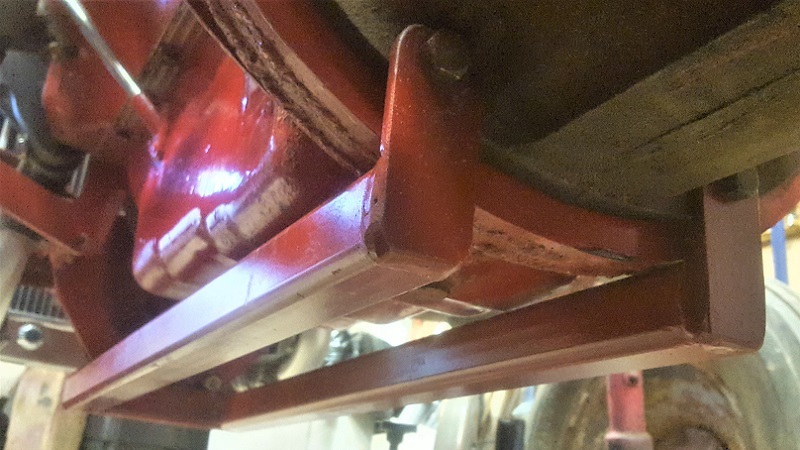 Most conversions provide some sort fo frame rails under the oil pan to provide that support. 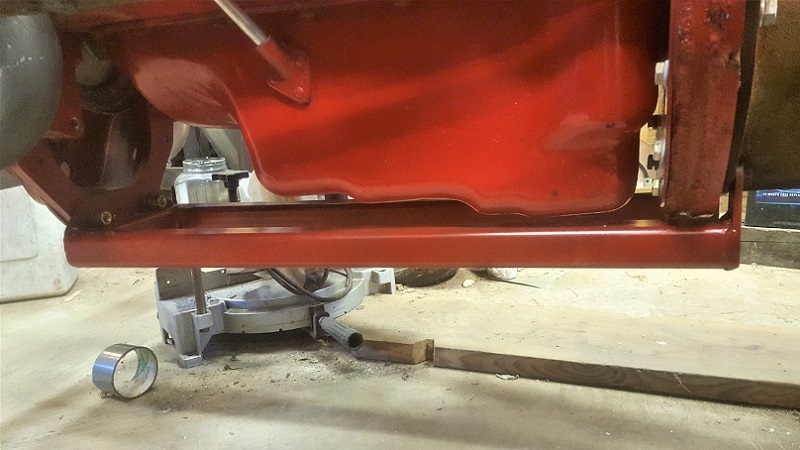 The steel for my lower support frame was purchased many months ago and left standing in the corner while I played with the Ford 3000 tractor. 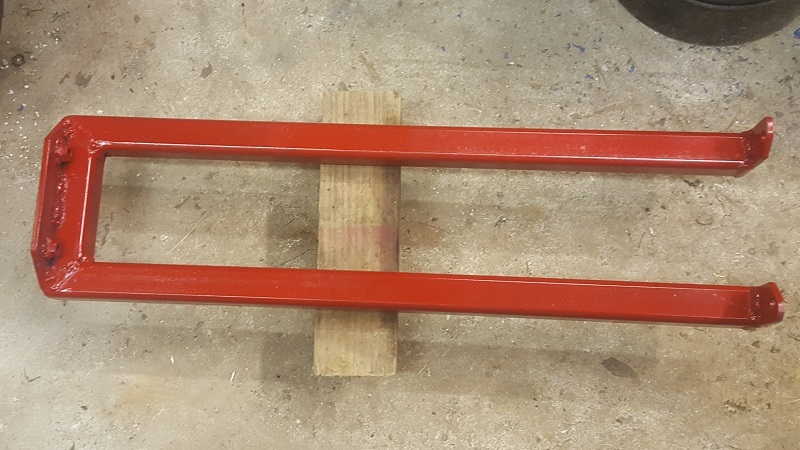 Two pieces of 1-1/2" square 1/4" thick heavy tubing were used for the frame rails. These may be a bit of overkill, but weight isn't an issue for a tractor, heavier is usually better. The front corners were mitered to make a "U" shaped frame that will attach behind the front axle support. Short mounting tabs were cut from 1-1/2" x 1/4" flat bar. Holes were drilled to match up with radiator support and transmission bolts before welding the tabs to the frame. 7/16" UNF hex nuts were welded to the back side of the front tab so there will be no need to hold those with a wrench. It is usually better if hardware on the back side of anything is captive. Everything was tack-welded then bolted in place to check the fit and dimensions. After welding the fit was checked again to make sure nothing warped. Then the entire assembly was cleaned, primed, and painted. Snazzy! The intent was to make this easy to remove if I ever need to get to take the oil pan off.